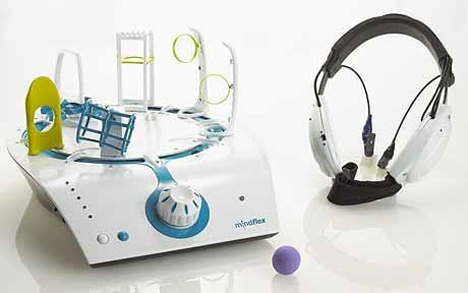 The Mindflex, made by Mattel, requires you to wear a funny headset to move a little ball through a 3D maze of plastic bits and pieces. 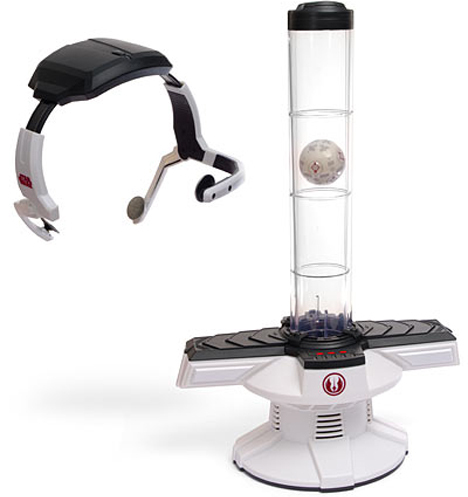 The harder you concentrate, the harder the console’s fan blows, making the ball float higher. When you relax your mind a bit, the air flow gets weaker and the ball descends accordingly. Eventually, you learn to control the intensity of your brainwaves to get the desired result and push the ball through the maze. The Mindflex debuted at the beginning of 2009 and is in stores now for around $60-$80. The Emotiv headset looks eerily like the headsets in Strange Days, but it’s guaranteed not to cause those unpleasant side effects. 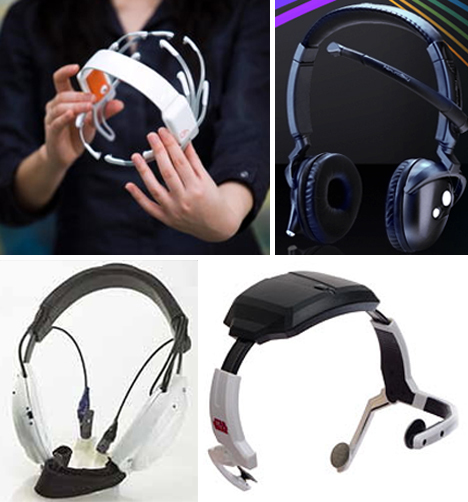 Instead, the Epoc headset is used with a Windows PC to play a variety of concentration-based games. The basis of the headset’s abilities rests on a several-second-long calibration that you perform before playing one of the mini-games. In the calibration, you perform a brain activity of your choice (concentrating, relaxing, thinking about something in particular) and during the action part of the game, you simply perform exactly the same activity. 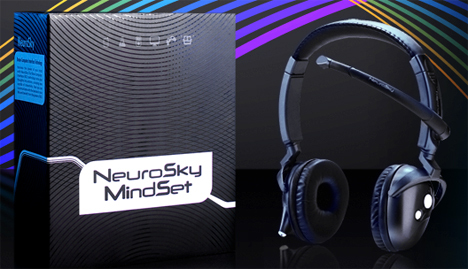 The headset doesn’t read the type of activity; it simply matches the brainwaves between the calibration and the game. Though the release has been delayed a few times, the Emotiv headset looks just about ready to drop. It’ll come with a game that lets you push and pull boulders, levitate objects, and other telekinesis-like activities.